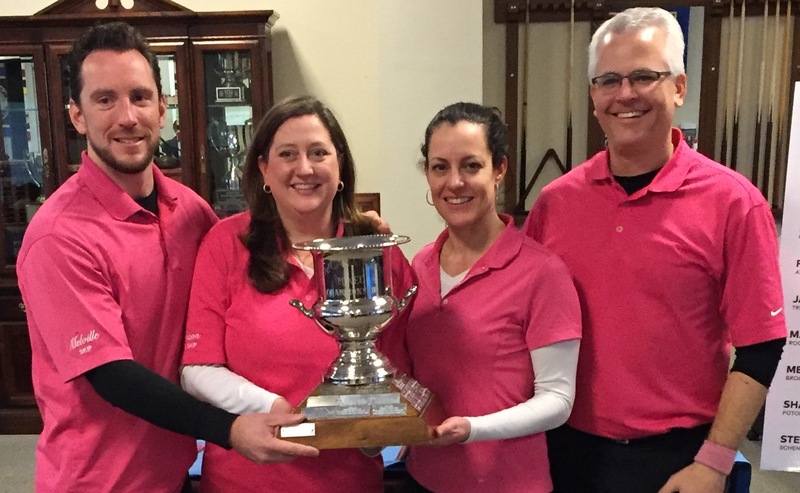 Team Melville (l-r: Robbie Melville, Teri Olson, Alina Martinez, Scott Olson) from the Broomstones Curling Club in Wayland, MA wins the GNCC 2016 Mixed Championship for the second year in a row. Best of luck at the Mixed Nationals in Arizona! Thanks for all those who came to participate, volunteer, and watch this Championship for making it a huge success! Thank you note from GNCC Mixed official Ken McPartlin. The Charlotte Curling Club was proud to host the GNCC 2016 Mixed Championship, February 25–28, 2016 in Charlotte, NC. The winning team will represent the GNCC at the 2016 USCA Mixed National Championships, April 2–9, 2016 at the Coyotes Curling Club in Tempe, Arizona. The Charlotte Curling Club is one of the newest dedicated ice facilities in the GNCC and promises to offer a great competition. Mixed teams who have never played in this event are encouraged to enter along with teams from last year. Team that advances to Nationals will receive $400 in funding from the GNCC. Winner of USCA Mixed Nationals will represent the USA at Worlds. All competitors must be U.S. citizens. A Mixed Curling Team consists of two men and two women. The throwing order must alternate genders. No stick devices allowed. Please note that USCA Registration is a single-entry system, each competitor must register and pay $147.50 individually. Coaches must also register. No registration required for 5th player. $590/team ($440 USCA + $150 GNCC) due January 20, 2016. All rules and requirements are described in the 2015-2016 USCA Championship Rules Booklet, available on-line at www.usacurl.org. Download the GNCC Mixed Championship Poster, Event Registration Information, and Hotel Accommodations.